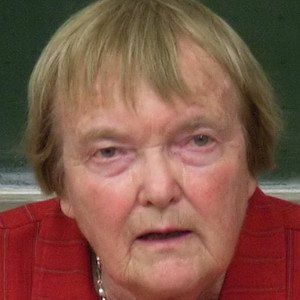 Award winning German young adult and children's book author who has become well known for more than 90 novels in her long and illustrious career. She is perhaps best known for Die Wolke, or in English, The Cloud, a novel roughly inspired by the Chernobyl disaster. Many of her novels feature a strong anti-nuclear power philosophy. She worked as a teacher following World War II and taught in foreign German schools in South America. Some of her more well known novels in the United States include Traitor, The Final Journey, and Dark Hours. Her father was a farmer and she was the eldest daughter of five siblings, including fellow author Freya Pausewang. Her father was killed when she was 15 fighting in World War II. Both she and Hugo Dittberner are popular German novelists.